Pet insurance is also a viable option for many pet owners, helping them pay the cost of unexpected veterinary care. There are a variety of pet insurance companies and plans. Visit our Pet Insurance page for more information. 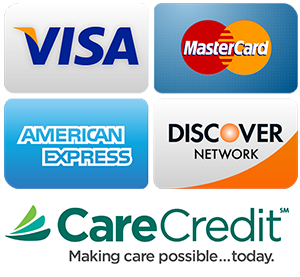 Another payment option is CareCredit, a healthcare credit card that allows your pet to get veterinary care when they need it. Instead of paying the entire cost of care at once, CareCredit allows you to pay off your balance in monthly installments. You can apply online at www.CareCredit.com/apply.